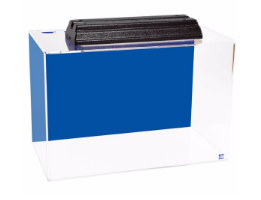 20 Gallon Fish Tanks For Sale | FishTankBank. 1.2 How many fish should be in a 20 gallon tank? 1.3 How big are these tanks? 1.4 Are these suitable to use as reef tanks? 1.5 How about saltwater and freshwater? 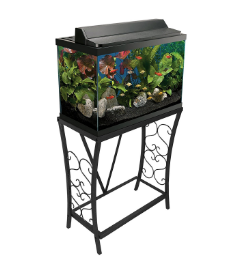 Before we get into this list, we’d just like to mention that if you want a custom 20 gallon fish tank, head on over to our custom page. You could get a custom fish tank like this if you order from us. 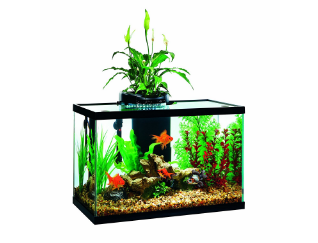 A 20 gallon fish tank is a very popular size for most fish keepers – they’re a great ‘medium’ size of aquarium which won’t just keep most sizes of fish happy, they’ll also generally fit in most areas of your home (which is always handy if you don’t live in a mansion!). The tanks that we’ve included in this list have been included for 2 reasons – we’ve either got first hand experience of them, or they’ve been highly rated online. 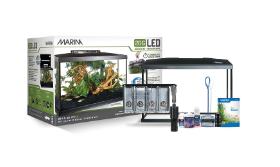 Hopefully you’ll find a 20 gallon aquarium that suits your needs! 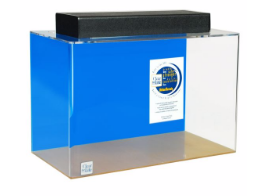 The great thing about our selection of 20 gallon tanks is that it includes aquariums of all shapes and sizes. We’ve got long aquariums with longer dimensions, and we’ve got tanks which are slightly taller too. This includes the popular brand Aqueon, who are specialists in tanks of this size. How many fish should be in a 20 gallon tank? This will obviously depend on the breed and size of the fish, but we would recommend no more than an inch of fish per gallon of tank as a rough estimate. How big are these tanks? It’s important to remember that these tanks aren’t massive, so you should be considerate of how much your tanks can handle. Are these suitable to use as reef tanks? Absolutely, 20 gallons is more than enough to create a cool reef tank. You might not have as much room to create the kind of reef tank which will accurately mimic the natural habitat of a fish in the wild, but they’ll still be great on a much smaller scale. How about saltwater and freshwater? 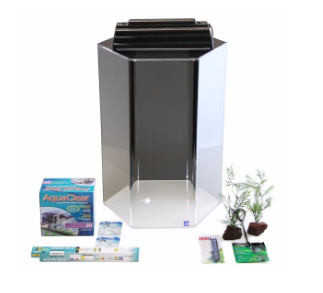 It’s perfectly fine for a 20 gal tank to be used as a saltwater or freshwater tank, however please ensure that you have carried out sufficient research on your fish so you know what their preferred environment is before implementing a water change.